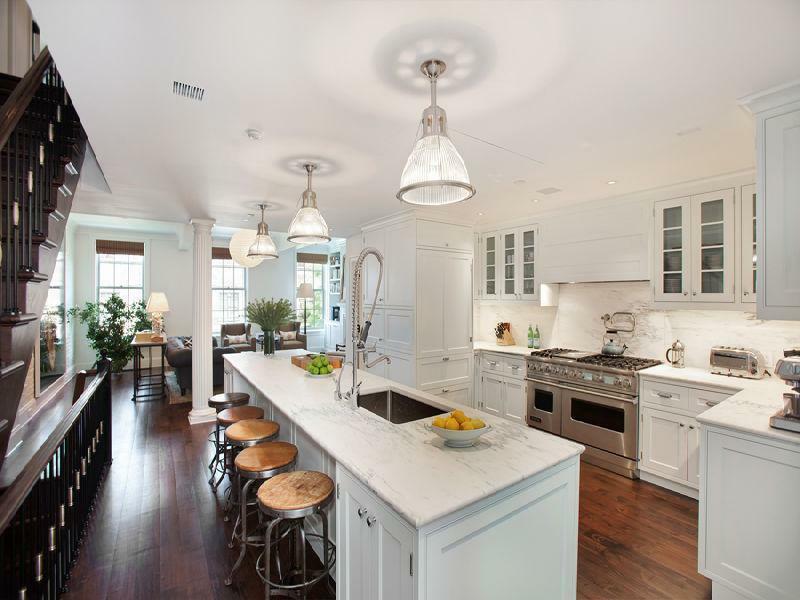 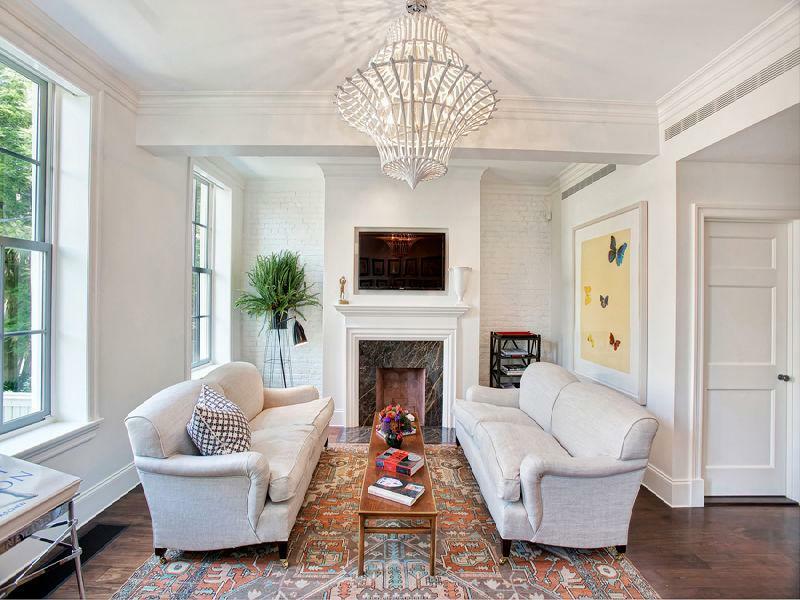 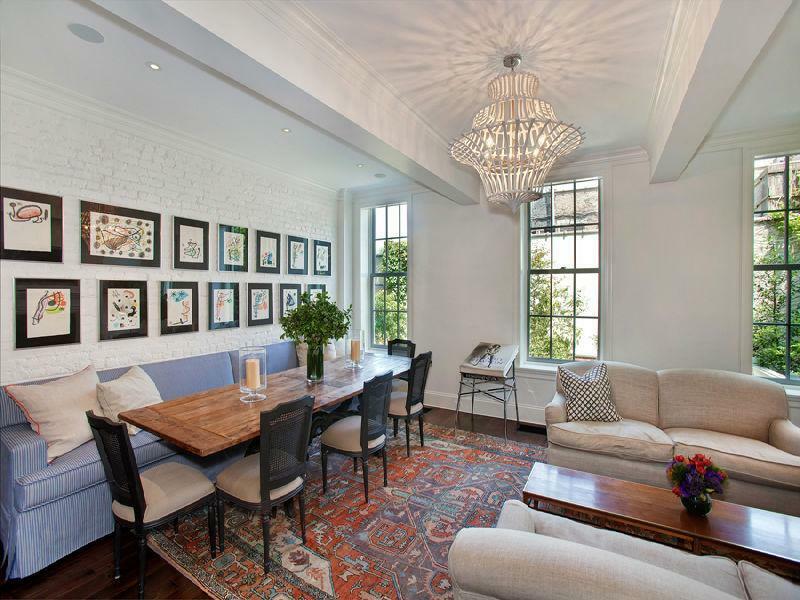 I adore this New York City townhouse. 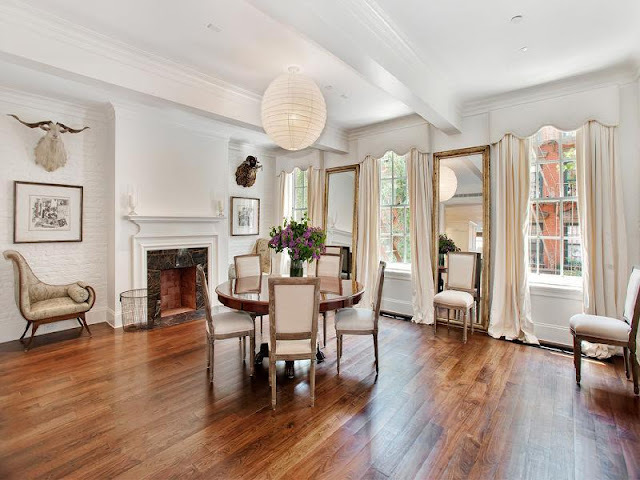 Located on Jane St., in the heart of Greenwich Village, the property was renovated extensively by its current owner New York social fixture/eligible bachelor John de Neufville, a high-end art collector with an eye for design (...or quite possibly a knack for hiring great designers). 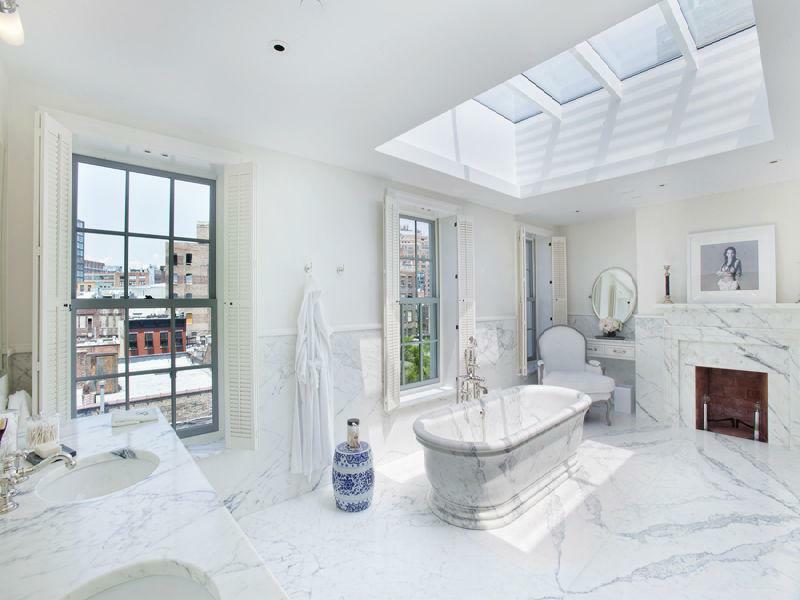 I just want to exist in that first bedroom + master bath.